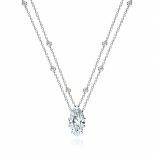 14kt white gold custom made marquise diamond station necklace. 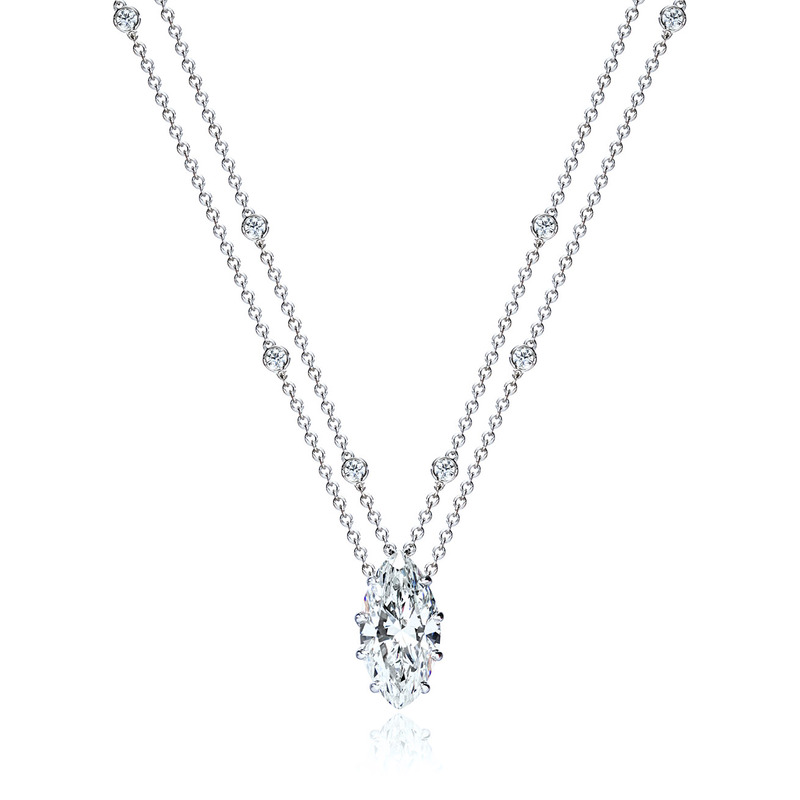 This necklace features a prong set GIA certified 3.30ct marquise diamond. The double cable chain has eight round brilliant cut diamonds set in hand made collet stations. Custom made in our Raleigh, NC jewelry studio.